Israeli forces continued with systematic crimes in the occupied Palestinian territory (oPt) for the week of 23 – 28 November, 2017. 4 Civilians, including 2 children and international activist, were wounded in the West Bank and Gaza Strip. Israeli forces conducted 68 incursions into Palestinian communities in the West Bank and 5 similar incursions in Jerusalem. At approximately 08:00 on Sunday, 26 November 2017, dozens of Palestinian students organized a protest in al-‘Aroub refugee camp, north of Hebron, on the second anniversary of murdering Khalid al-Jawabrah near the bypass road in the vicinity of the refugee camp. A number of students gathered near the UNRWA distribution center, while a number of them headed to the street leading the camp where there were several Israeli patrols stationed in the area. The students threw stones at the soldiers, who stepped off their military vehicles. The soldiers then moved towards the camp and sporadically fired sound bombs and tear gas canisters at the students and houses. As a result, a number of students suffered tear gas inhalation. Later, a number of soldiers topped several house roofs in the neighborhood and sporadically fired lived bullets at the stone-throwers and civilians, who were on the street. 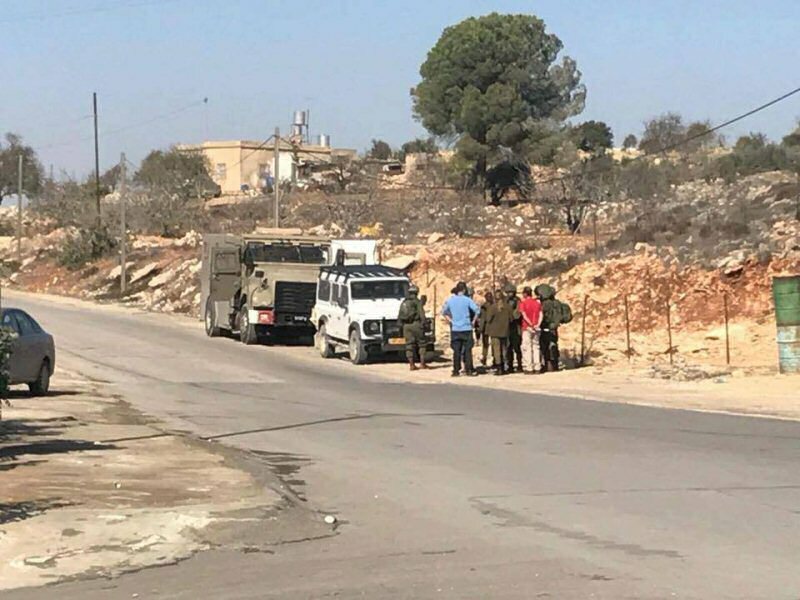 As a result, Ahmed Mohammed Abdullah Abu Dayyah (22) sustained shrapnel wound to the right thigh and was transferred via a civilian car to a medical complex in Beit Fajjar, which is about 1.5 kilometers away from the abovementioned camp. Ahmed received first aid at one of the private clinics. Following that, Ahmed was transferred via an ambulance of the Palestine Red Crescent Society (PRCS) to a hospital in Bethlehem. When the ambulance arrived at “Gush Etzion”intersection, the Israeli soldiers stopped it, arrested Ahmed and took him to “Shaare Zedek” Medical Centre, where he received medical treatment. Ahmed was released at approximately 22:00 in front of the camp. In a separate incident, Israeli forces fired live bullets at a 16-year-old child when he was near a bakery. As a result, the child sustained shrapnel wounds to the lower part of his body and was transferred to Hebron Government Hospital.